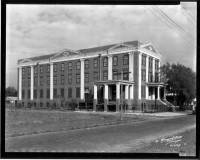 Today there are still a number of cigar factory buildings remainingin and around Tampa most of which were built towards the the end of the 19th and the beginning of the 20th centuries. Photographs in these pages were mostly taken between December 2014, September 2015 and January 2017. 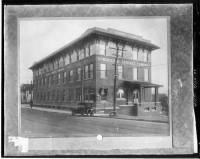 As with the other pages on this site, the purpose is not to tell the history of the cigar industry in Tampa, which is already well documented, but to actualize in pictures the current status of the cigar factory buildings still standing. A brief description of each structure is made for a better understanding of what it represents. According to Ciudad de Cigars: West Tampa by Armando Mendez (Florida Historical Society: Tampa, 1994), the Tampa cigar history dates back to: “...1838, when Count Odet Philippe settled in the Tampa Bay area and brought with him a female slave who had learned the art in Cuba. Although the unnamed slave’s principal job was to produce cigars for his personal use, Philippe, who operated an oyster shop near Fort Brooke [now downtown Tampa], sold the soldiers of the fort the excess cigars.” Mendez also states in his book that the first cigar factory in West Tampa was established by the Del Pino Brothers in June 1983, however, by 1894 it had already shut down because of their inability to recruit workers due to lack of access, transportation and housing. 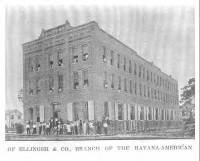 The first successful cigar factory in West Tampa, established in February 1893 after the completion of the Fortune Street bridge that allowed easy access to workers from Ybor City, was the O'Halloran Cigar Co. which occupied the building left vacant by the Del Pino Brothers. 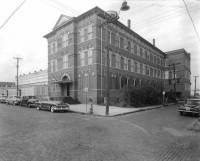 By 1893, there were 18 cigar factories in Ybor City and 25 in West Tampa. Relocated from Key West: V. Martinez Ybor & Co., Seidenberg & Co., O'Halloran & Co., Teodoro Perez & Co., S. & F. Fleitas & Co., Julius Ellinger & Co., A. del Pino, Bustillo Bros. & Diaz, Juan La Paz & Co., José Morales & Co., Trujillo & Beneles, M. Perez & Co.
Relocated from New York: Sanchez & Haya, Lozano, Pendaz & Co., R. Monne & Co., V. Guerra, Diaz & Co., Menendez Bros. & Verplanck, Gonzalez Mora & Co., Arguelles, Lopez & Bros., F. Garcia & Bros., José M. Diaz & Bros., Amo, Ortiz & Co., Salvador Rodriguez, M. Stachelberg & Co., A. Santaella & Co.
Relocated from Chicago: Creagh, Gudnecht & Co., Bonifacio Garcia & Co., Fernandez & Saxby, Berriman Bros., Trujillo & Beneles. 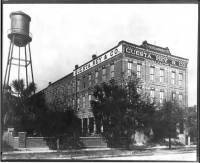 Relocated from Atlanta: Cuesta, Ballard & Co.
Other companies that organized and establish operations in Tampa during the same period were: Emilio Pons & Co., José Lovera & Co., Clarkson Bros., P. San Martin & Co. and Val M. Antuono. 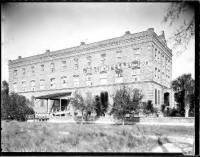 Before Tampa became an atractive location for cigar manufacturers, the industry was already established in Key West, New York and other cities of the Northeast and the Mid West. In 1886, Manhattan was home to 1,960 cigar factories of which 3.9% employed 100+ rollers. California was home to 385 cigar factories of which 3.8% employed 100+ rollers. In contrast, Florida had the the highest percentage of large factories with 30.5% of the factories employing 100+ rollers, though home to only 154 cigar factories. Of other States, Illinois ranked 3rd in number of cigar factories with 1,197 but only 3 (1/5 of 1%) employed 100+ rollers. Tampa's real cigar history began as a result of guava, not tobacco. In 1884 Gavino Gutierrez , a New York broker and and importer of Spanish and American goods and Bernardino Gargol, a Cuban resident in New York who imported jellies and preserves made from the guava fruit, came to Tampa where they had heard rumors guava trees grew in abundance. During their vist they found that was not the case, but were impressed with the area. On their return trip to New York by sea, they stopped in Key West where they visited with friends Ignacio Haya and Vicente Martinez Ybor . 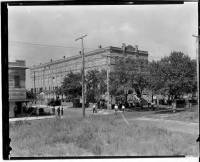 Timing was perfect as at the time, Haya and Martinez Ybor were considering moving their cigar factories to Mobile, Galveston, Pensacola or New Orleans due to labor troubles in Key West. It was not until Vicente Martinez Ybor established his Principe de Gales factory in 1886, that Tampa began attracting the attention of other cigar manufactureres. 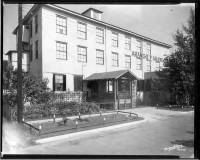 In chronological order, the first factories to start operation in Tampa were: Sanchez & Haya, V. Martinez Ybor & Co, Lozano-Pendaz and R. Monett. In the last 14 years of the 1800s and in the early 1900s, many cigar companies relocated to Tampa and tens of thousands of Cuban, Italian and Spaniard workers followed. 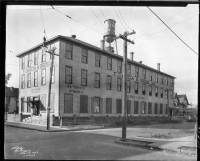 Tampa’s cigar industry thrived into the 1910s and 1920s. Just like it happened in Key West, the Tampa cigar industry was not free of labor unrest. During its early life, a strike in 1899 known as The Weight Strike (the only strike won by cigarmakers), plus three major strikes in 1901, 1910 and 1920 affected the industry and resulted in some firms consolidating their operations and some others closing down. The 2005 Thesis by Brian Koepnick and the University of Florida September 1939 study titled The Cigar Industry of Tampa, Florida are good readings about the industry's beginning and development. Ybor City and West Tampa were annexed to the City of Tampa in 1887 and 1925 respectively. Previous to annexation, West Tampa was a city with its own municipal government but Ybor City was not. Their development, fueled by the establishment of cigar factories, was instrumental in the development of the area and gave it the character and personality it still enjoys to this day. 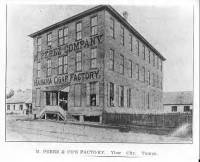 As an example, before the first cigar factory was established in 1886, Tampa's population was estimated at 2,000, by 1889 population had increased to over 10,000 mostly immigrant cigar workers and their families. According to the book Tampa and the New Urban South: The Weight Strike of 1899 by Gary R. Mormino, in 1866 custom receipts at the port of Tampa totalled $2,508; by 1900 duties, mainly tobacco related, approached $1 million a year. He also states that "by the turn of the century, 111 million cigars were being produced annually in Tampa's factories, a staggering amount since the cigars were individually handrolled" and that "in 1900 Tampa received 1,180 tons of Cuban tobacco valued at nearly $3 million which was transformed into $10 million worth of cigar exports." In 1900 cigar workers earned $2 million in wages and Tampa emerged as the leading industrial city in Florida. In an 1896 article, the Tampa Tribune compared what the cigar industry was to Tampa to what the iron industry was to Pittsburg or the cotton mill industry to Manchester, England. The invention of the cigar roller, frequent worker strikes, and the increased popularity of the cigarette led to the industry's slow decline. The Great Depression and World War II expedited the cigar industry’s downfall, and today only one company, the J. C. Newman Cigar Co., still produces cigars in Tampa. The typical cigar factory buildings were ornate, three-story brick structures. The rectangular buildings were constructed lengthwise from east to west with many windows to capture the prevailing breezes for fresh air and allow in natural light. 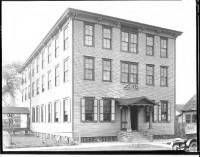 The setups were generally the same for all; a basement to store tobacco, a first floor for offices and where tobacco was brought in and finished cigars were sent out, a second floor where cigars were rolled, and a top floor where tobacco leaves were prepared and graded. In all, we have identified and photographed 25 remaining cigar factory buildings and the rubble of the V. Guerra, Diaz building which burned down to the ground in July, 2015. The factory buildings photographed are all in Ybor City, Palmetto Beach and West Tampa, their location can be found on this Google Map . 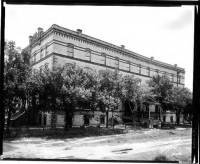 ​Below are pictures of demolished Ybor City and West Tampa cigar factory buildings reproduced from the Burgert Bros. photography collection made available courtesy of the Tampa-Hillsborough County Public Library System.